Sumera Fayeza didn't cry at the funeral. In the 13 years of her sheltered existence she had never known real tragedy, and it was almost as if she couldn't quite grasp the extent of her loss. She had no tears, only a deep dark sadness. But for her mother Nuzhat Ahsan the tears came easily. Her eyes brimmed over as she mourned the loss of her husband late Col. Shawkat Imam and contemplated the empty days that stretched before her. On February 25, at least 73 families revisited the pain of the Pilkhana BDR mutiny, and the nation mourned with them. Bangladesh has seen upwards of half a dozen violent destablising events in the 38 years of its existence. But the sheer mindless brutality of the BDR uprising stunned the national psyche. The meeting at the Pilkhana Darbar Hall on February 25, 2009 was meant to be a celebration. Red, yellow and green flags fluttered atop the arched entrance to the Bangladesh Rifles Headquarters. As the officers of the BDR -- all deputed from the army -- met the Jawans in the Darbar hall, little did they know that the stage had been set for the bloodiest mutiny in the history of the country. Gunfire broke out as the Director General of BDR Major General Shakil Ahmed was delivering his speech. In the first wave of shooting, the DG and other senior commanders were mowed down. A handful of mutineers started the killing spree and later incited others to mutiny. As the horrified nation watched on live television, machinegun toting BDR jawans, with red cloth covering their faces, took up position around the compound. When the rebellious soldiers agreed to lay down their weapons 36 hours later, 73 people, including 57 army officers lay dead. Mass graves with decomposed bodies, homes gutted by exploding grenades and walls pock-marked by hundreds of bullets -- the scene of carnage moved the nation to anger, disgust and later into mourning. On May 27, 2009, exactly three months after the massacre at the Pilkhana BDR Headquarters, the government inquiry report saw the light of day. The 12-member probe committee, chaired by retired Additional Secretary Anisuzzaman Khan had been tasked with unearthing the cause of the BDR mutiny, investigating related matters and making recommendations for prevention of similar incidents in the future. The report, running to 309 pages failed to pinpoint the real causes of the carnage. “It can be said with certainty that real reasons and motives behind this brutal incident could not be clearly determined,” committee chief Anisuzzaman Khan told a press conference at the time. The committee did not find any political, militant or foreign links to the mutiny. The government handling of the Pilkhana mutiny has received praise and criticism in equal measure. Supporters say the government's decision to pursue a negotiated solution prevented a wider conflict. Detractors suggest rapid military action in the early hours of the 25th of February would have saved lives. The probe committee strongly defended the government's actions. With hindsight, there are many lessons to be learnt. In the standard hostage/barricade situation models followed by the FBI and other law enforcement and counter-terrorism agencies, the main objective is to preserve life. This includes the lives of hostages, civilians, personnel, and even the hostage takers themselves. In order to achieve a successful resolution it is vitally important to secure the perimeter, establish lines of communication with the hostage-takers and if possible the hostages, and make sure arms and ammunition do not make it out of the barricaded area. According to internationally accepted operating procedure in a standoff, a professional negotiator must immediately establish contact with the hostage takers. Did the police, the army or the home ministry have such a negotiator? If there is evidence of bloodshed, the negotiator must ask for “proof of life” i.e., he must ask the hostage takers about the condition of the hostages, and if possible ask to speak to the hostages. Was this procedure followed in the case of the Pilkhana incident? For two days, there was no official word on the condition of DG BDR and other missing officers, although there were rumours the DG had been killed along with his wife. Lest we forget -- the Pilkhana massacre claimed 73 lives, including 57 army officers. Following the tragedy, the security forces arrested some 1,779 people in connection with the mutiny case filed in Dhaka while 1,721 were arrested in connection with 40 cases filed for rebellion outside Dhaka. The government decided that offences like killing, attempt to murder, arson and looting would be tried under the penal code, while other offences such as mutiny, insubordination, and breaking chain of command would fall under the relevant BDR laws. Through this, the government appears to have made a clear distinction between those who perpetrated the gruesome murders, and those who supported and instigated them. 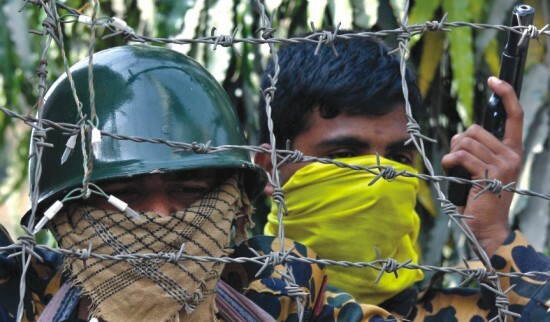 In line with the government decision, six special courts of Bangladesh Rifles are currently holding trials for the accused BDR Jawans. The deaths of BDR men in custody continue to cast a shadow over the trial process. According to media reports, after the surrender of the mutineers, many BDR men were tortured in the name of interrogation and 54 died allegedly from torture in custody. Official sources claimed these deaths had mostly occurred as a result of “heart attacks” and “suicides”. International human rights organisations such as Amnesty International have weighed into the debate by asking the Bangladesh government to ensure justice for the victims of the BDR mutiny by making certain that all suspects receive a fair trial, and that only the guilty are punished. 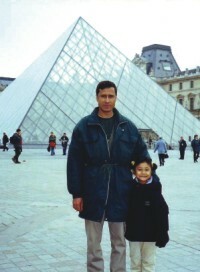 Late Col Shawkat Imam with daughter Sumera. In another development on the eve of the first anniversary of the Pilkhana massacre, the BDR DG announced closure of the BDR shops, the retail outlets that had been at the center of Operation Daal Bhaat -- a controversial campaign to combat the rising price of essential commodities by importing and selling groceries at wholesale rates. "A disciplined force should not be involved in a commercial venture," DG BDR Major General Mainul Islam told The Daily Star. <>F<>ar removed from the thorny legal and political considerations, the families of the slain soldiers mourn their dead. "We think a day of national commemoration should be declared," says Dr. Royena Matin, widow of Lt. Col Enshad Ibn Amin of the artillery. "These soldiers laid down their lives, but I don't see enough effort to honour them a year after their death." "We don't see any memorial erected in their honour," says Shahinur Parveen, whose husband Lt. Col. Saiful Islam was gunned down inside the Darbar Hall. "How will our children learn about their ultimate sacrifice?" A year after the tragedy, the victims' families are yet to receive the full measure of compensation announced by the government. "We received a Tk.10 Lakh payment from the government and Tk 5 Lakh from the army," says Nuzhat Ahsan. "But is 15 Lakh enough for the future of my little daughter? We are yet to hear anything about the Prime Minister's announcement of a flat. I have to leave the army residence in another year -- where shall I live with my daughter? We demand justice for the dead, and a secure future for our orphaned children." Some families are taking it upon themselves to keep alive the memory of their loved ones. 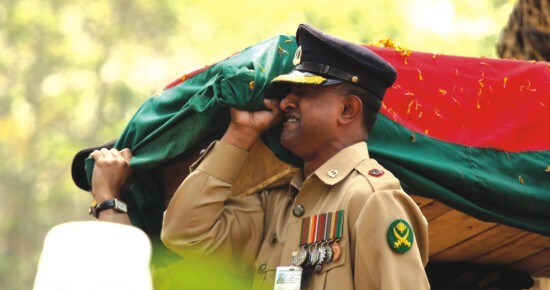 The siblings of slain Col. Mujibul Haque, the former Sector Commander of Dhaka, have set up a memorial trust in his honour. "We have published a book that details the lives of the martyred soldiers," says Mujib's brother Imamul Haque. "We must not forget." Sumera Fayeza still wakes up every morning expecting to see her father's face framed in the doorway. She wishes she could roll back the last 12 months, and return to the days when her father used to coax her to get ready for school. "If I could send a single message to my father," says Sumera, "I would say: Baba, I miss you. It is so difficult to go through life without you.